The following interview originally appeared on Dawn.com, Pakistan’s most respected English news source. I am reproducing it here for the interest of our readers. It’s a rare opportunity to come across an American diplomat who understands the South Asian culture and speaks fluent Urdu and Hindi. Former ambassador Teresita C. Schaffer, 66, is one of those rare individuals who are not only aware of the cultural nuances of the Indo-Pak region, but happens to be an elegant speaker of Hindi and Urdu. 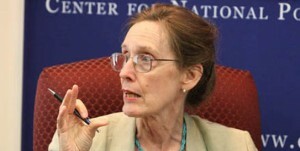 An ex-Deputy Assistant Secretary of State for the Near East and South Asia, Schaffer, in her 30-year diplomatic career, has served as the US ambassador to Sri Lanka and worked at diplomatic missions in Pakistan, India and Bangladesh. She has authored Pakistan’s Future and US Policy Options (2004) and India at the Crossroads: Confronting the Challenge of HIV/AIDS (2004). 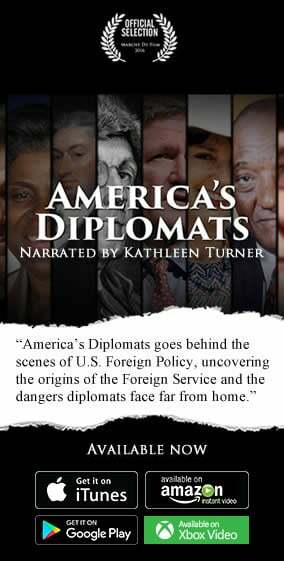 One of her popular books she co-authored with her husband Howard B. Schaffer, also a former US ambassador, is How Pakistan Negotiates with the United States. A widely respected expert on South Asia, Ambassador Schaffer spoke exclusively with Dawn.com about Pakistan’s negotiating style with the United States. Q. The United State and Pakistan have had three ‘marriages’ and two ‘divorces’. Are the interests that lead to an eventful marriage and factors which caused divorce always the same or do they keep changing with every new partnership? A. The immediate impetus for the three marriages came from factors external to Pakistan such as the Cold War and Afghanistan. What caused the two divorces is different. The first divorce came in 1965 during the Pakistan-India war when Pakistan used US-supplied weapons which Washington had warned were not supposed to be used against each other. Pakistan’s nuclear program caused the second divorce. In the 1980s, the US restored a large aid program to Pakistan, but to get the aid through Congress, it also had to pass the Pressler Amendment. In 1990s, the US could no longer certify that Pakistan possessed a nuclear explosive device because of which its assistance had to be cut-off. In both cases, divorce was the culmination of Pakistan’s unwillingness to accept US terms and conditions. Q. What would you describe as the striking findings of your study about Pakistan’s negotiating style with the United States? A. There are three big influences on Pakistan’s negating style with the United States. The first is Pakistan’s view of its place in the world with India as the perpetual enemy and the US as an unfaithful ally. The second is the supreme importance of personal connections in the Pakistani culture. The third influence is the complicated structure of the government and complex relationship between the military, civil administration and the bureaucracy. Q. The United States has historically personalised rather than institutionalise relations with Pakistan. How much has that benefitted both the countries? A. Both the sides have personalised the relationship. Without some degree of personalisation you are not going to get anywhere with a Pakistani leader. But by allowing the personal relationship to substitute for an institutional one, the United States makes itself vulnerable to the guilt trip. Q. Do you see a dichotomy between the objectives of a US-Pakistan strategic alliance and expectations of both the countries from each other? A. Yes. This is the real challenge of US-Pakistan relationship. The assumption during all three alliances was that our strategic interests were the same. In fact, they had some points in common, but were not the same. The key to these differences in each case has been India. For Pakistanis, India is the long-term existential threat. For the United States, India is not an enemy. In Afghanistan, Pakistan’s prime objective is to minimize Indian influence but the US goal is to minimise the al Qaeda influence. These are not the same. Q. How much is the growing US-India alliance going to influence US-Pakistan ties? A. I have no doubt that the US-India relationship makes a lot of Pakistanis uncomfortable. They see this as inconsistent with US-Pakistan relationship. If you had a real economic revival in Pakistan at rates comparable with India, you would see the balance of Pakistan’s interests changing in such a way that the US-India relationship would seem less threatening to Pakistan. Q. Why has the United States rephrased the term “Indo-Pak” and categorised Pakistan into the newly coined term “Af-Pak”? A. I hate the term Af-Pak. It sounds demeaning in Pakistan. The term and the bureaucratic structure are the products of the decision by President Obama and Secretary Clinton to bring in Richard Holbrooke as the envoy. Richard Holbrooke was a man of enormous talent. I think the term was his because he meant you can’t only talk about Afghanistan and forget Pakistan. He was trying to convey the message that Afghanistan was sitting next door to Pakistan. There was a lot of speculation whether Ambassador Holbrooke’s mandate should include India. From the American point of view, the decision not to include India was correct, because a special envoy whose chief responsibility is Pakistan cannot effectively broker with India. Q. Why is the United States reluctant to play the role of a mediator between India and Pakistan on Kashmir dispute? A. The US believes that without the strong support of both India and Pakistan no such effort could succeed. India hates the idea of third-party intervention. The US has urged both countries to work things out directly on their various problems, including Kashmir. Q. In your book, you mention the element of lies in diplomatic relations. Do both the countries lie to each other? What have been the biggest historic lies told to each other? A. In American court rooms when you are sworn in as a witness, you swear to tell the truth, the whole truth or nothing but the truth. “Nothing but the truth” is the easiest standard to meet while “the whole truth” is the hardest standard to meet. Neither of the governments has met the standard of telling the whole truth. We have, on a number of occasions, withheld things from one and other. Sometimes, Pakistan has also fallen short of the standard of “nothing but the truth.” For example, when President Musharraf came to the United States and was asked about Daniel Pearl, he said he was “sure” that Pearl was alive. Afterwards, it became clear that Daniel Pearl was already dead and it seemed likely that Musharraf actually knew this. He may have considered that as the right thing to do in protecting Pakistan’s security interests. We need to understand the impact lies have on both sides. An American official who believes he has been lied to takes this as a real insult to his intelligence and friendship with the other side. Having lived in Pakistan, I would say it is almost impossible that no one in the army knew that Osama bin Laden was living in Abbottabad. Q. Are there any phases in the US-Pakistan relation where you find Pakistan successfully influencing American policies? A. Yes. Pakistan achieved some of its objectives by applying American cultural traits. One instance is Pakistan’s success in 1999 in obtaining a refund of the money it had paid for F-16 aircraft. The Pakistani diplomats based their argument to the United States on the concept of fairness —- which is very important in US culture— and hired a lawyer to file a lawsuit against the US government. Everyone accuses the Americans of being overly legalistic but this time the Pakistanis turned the tables. They used their understanding of US procedure and culture to obtain a result that was very important. Q. Which US government in the history would you rate as the most Pakistan-friendly? A. There are a lot of governments which have done really important things for Pakistan. The whole China connection for President Richard Nixon was something that fit in his strategic framework. George W. Bush initiated the big aid program for Pakistan which was carried over by the Obama administration. Q. What do you think are the causes of growing anti-Americanism in Pakistan? A. Some anti-Americanism is the inevitable byproduct of the United States being the most powerful country in the world, which makes it a magnet for discontent. Anti-Americanism has become much stronger now because there is a widespread perception in the Islamic world and particularly in Pakistan that the Muslims are being treated with injustice by the west in general and the United States in particular. This is intensified by the message that is being put out not just by the Islamic militant groups and right-wing parties but also by the government of Pakistan suggesting that Pakistan’s present troubles are entirely the fault of the United States. I don’t agree with that statement. I think frankly no country can blame its entire troubles on anybody else. If enough important people in Pakistan pointing fingers at the United States for its domestic troubles then it becomes easier to believe that than to search for the roots of homegrown problems. Q. Pakistanis complain that the Americans do not sufficiently acknowledge and appreciate their contributions in the war on terror. A. The Americans value Pakistan’s contributions but they also feel betrayed by some of the moves Pakistan is making particular by continuing the relationship with insurgent groups in Afghanistan which are killing American soldiers. Both sides have some reasons to complain that the other side is not respecting their sensitivities. In order to achieve an American policy that is in some sense more responsive to Pakistan’s need, you also need a Pakistani policy that is more responsive to US needs. Q. Will Pakistan and the US be able to avoid a third divorce this time?